The lands of England and Wales are ruled by powerful feudal nobles who cruelly oppress the people. The lands of England and Wales are ruled by powerful feudal nobles who cruelly oppress the people. They all have their eyes on the English throne, and they’re willing to do anything to seize it. The people cry out for a leader who can unite them: A leader worthy of a kingdom. 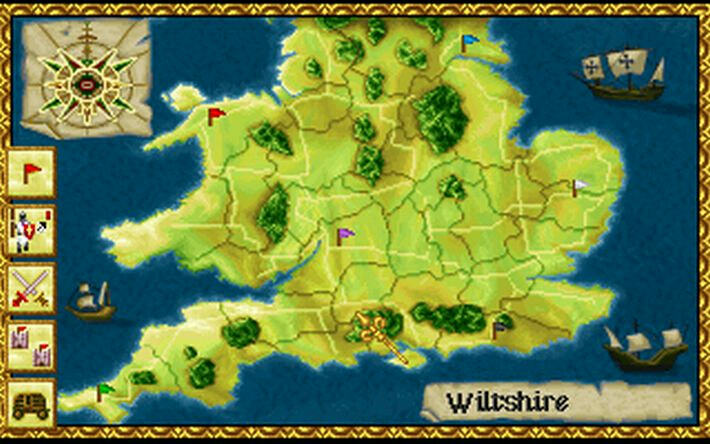 Advancing the series’ trademark template of turn-based and real-time strategy, Lords of the Realm II takes you into the intrepid struggle of 13th century England. 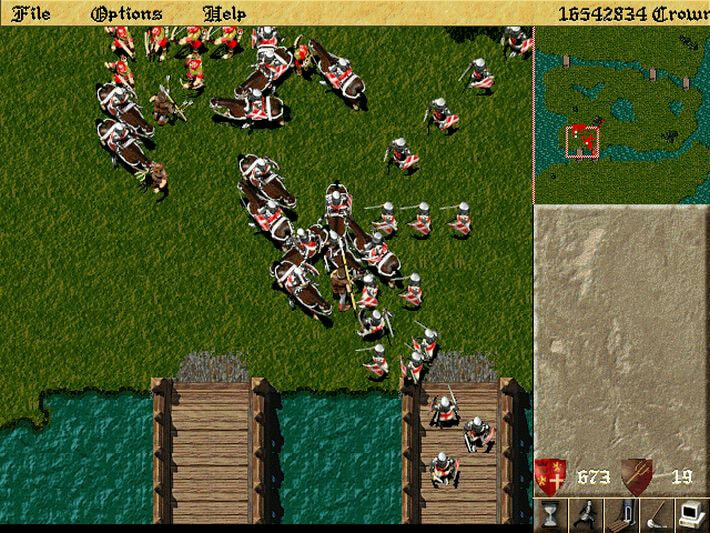 Turn a ragged band of peasants into an army, build massive castles, make and break alliances, and conquer your enemies on the battlefield. The road to the throne will be dark and treacherous – will you have what it takes to become King? 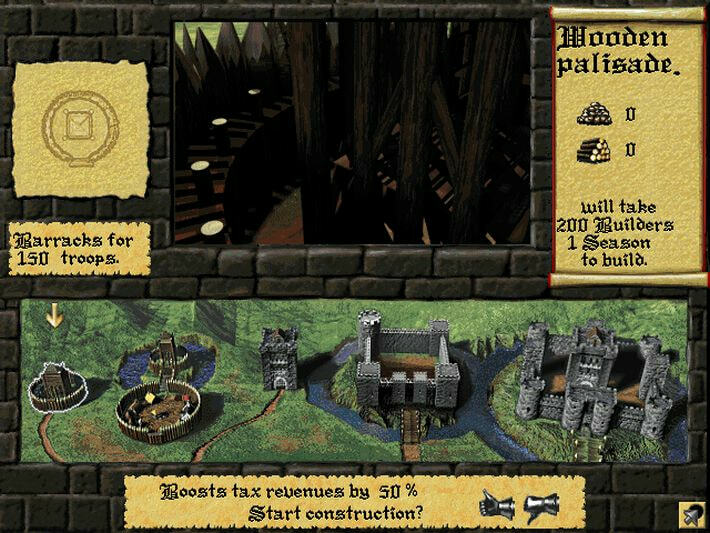 Lords of the Realm II includes: The original Lords of the Realms II game The Siege Pack expansion, which includes additional castles, battle maps and scenarios Key Features Builds on a winning formula with thrilling battles and improved graphics and sound. 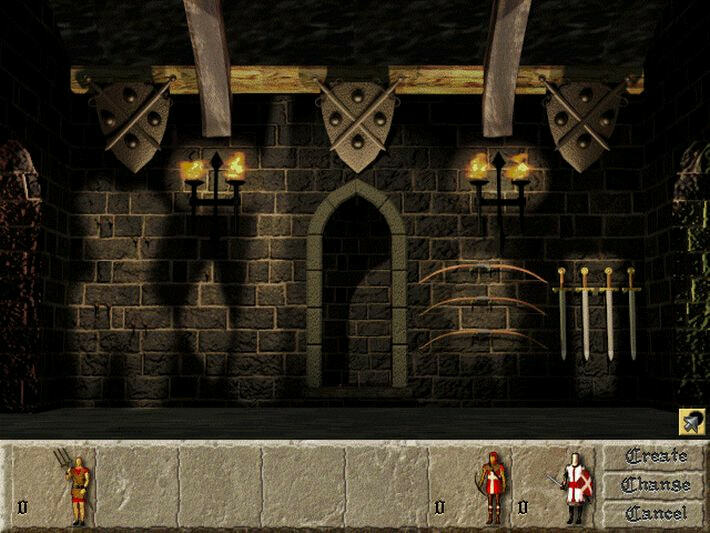 Overrun your enemies’ castles in nail-biting sieges, played out in real-time. Be as hands-on or hands-off as you like – your Steward will help manage your kingdom. Design your castles, from inexpensive wooden keeps to impregnable stone fortresses. 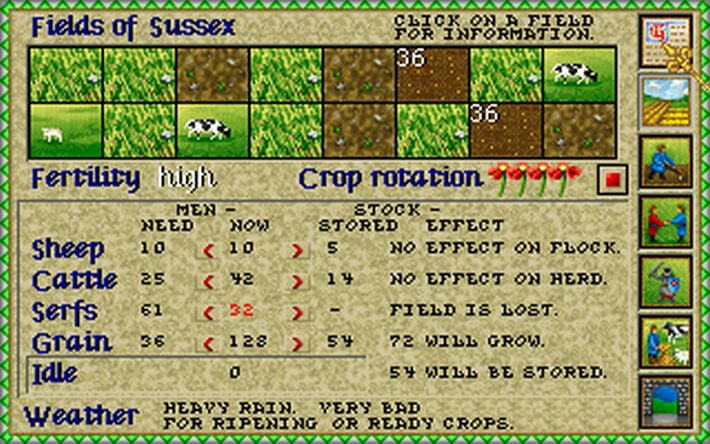 Lead your people: Plant crops, collect taxes, build weapons, raise armies and wage war! Take on up to 4 friends in multiplayer and prove yourself a Lord among your peers. Multiplayer notice: Playing over the Internet is no longer possible. Playing through a LAN is still available. The English throne lies empty in 1262 A.D. You and 5 lords are locked in a struggle for the crown. 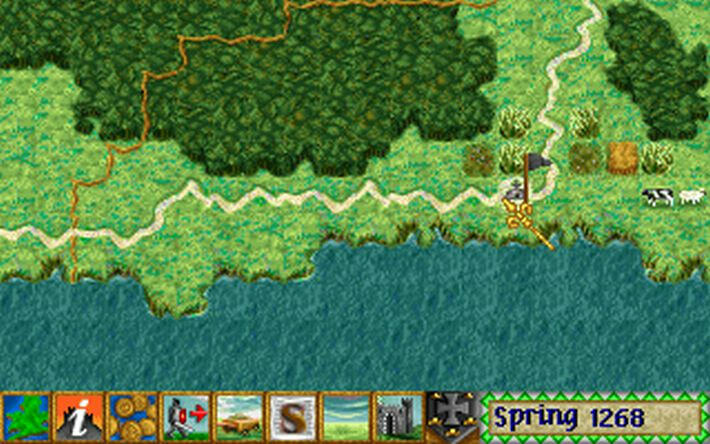 Reap the benefits of successful feudal governing, castle building, castle sieging and land battles to conquer your rivals and claim the kingdom. 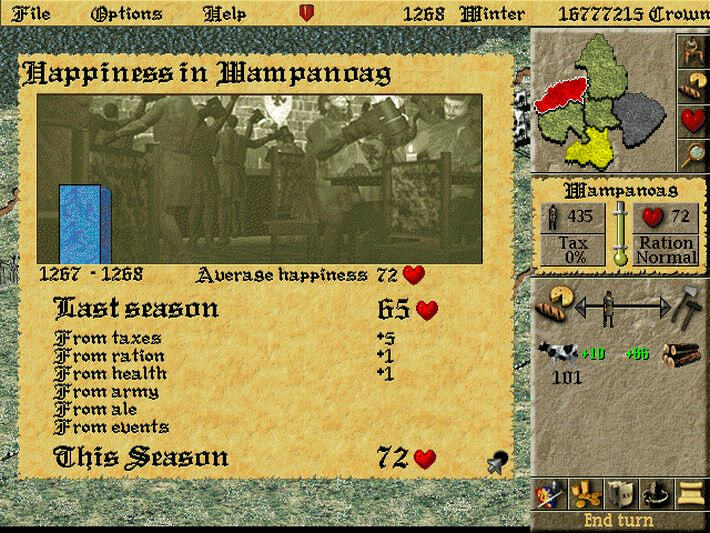 Keep your serfs fed and happy. Assign them to farming, herding, building, military and other tasks. Design your own castles and build them using actual historical blueprints.Then lay siege to your neighbors' castles and fight out land battles in tactical details. 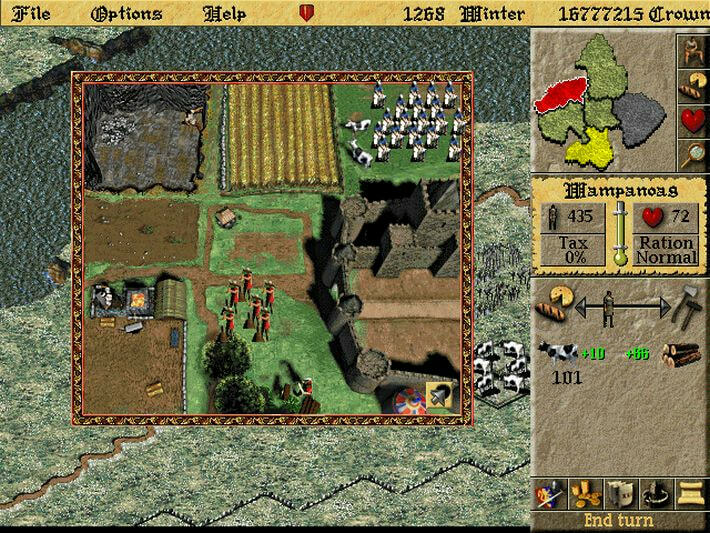 Lords of The Realm propels you into the epic conflicts and intrepid life of thirteenth century England. 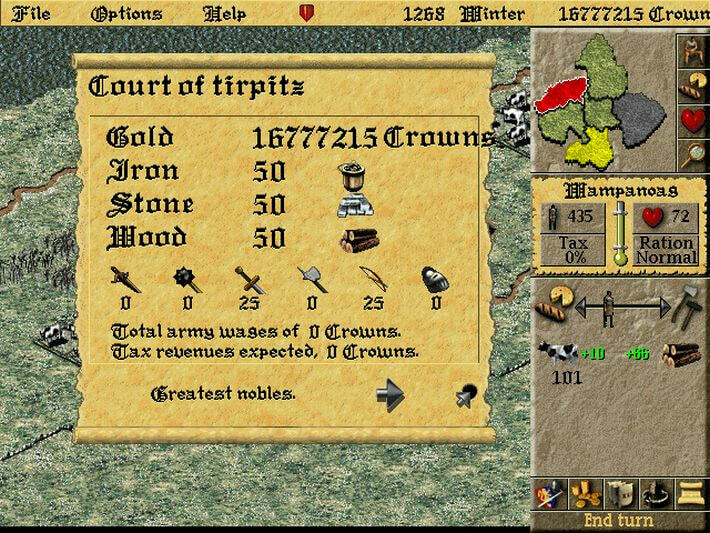 As one of five nobles you manage crops, build weapons, construct a castle and raise an army to conquer neighbouring realms before they conquer you. Prepare to fight your way to the throne in the battle of your life. Because in the end, you're either King, or you're dead. 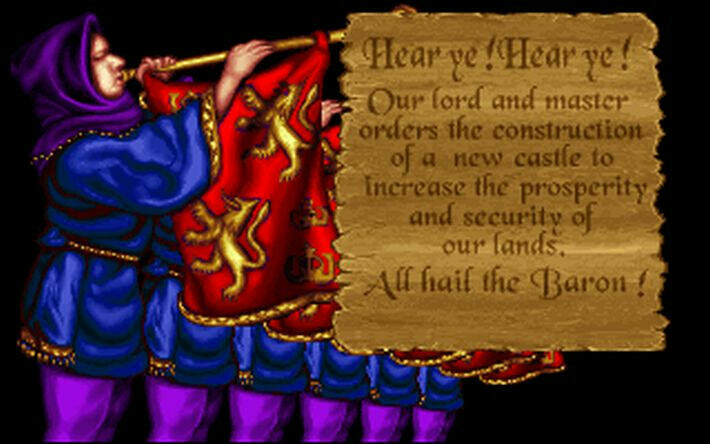 Includes the Windows CD ROM and the floppy disk version of Lords of the Realm. 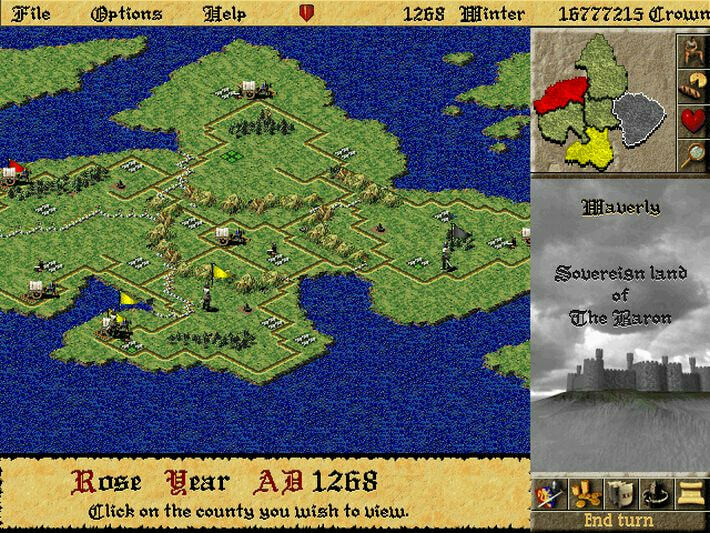 Now you can choose whether you wish to conquer England and Wales or Germany!